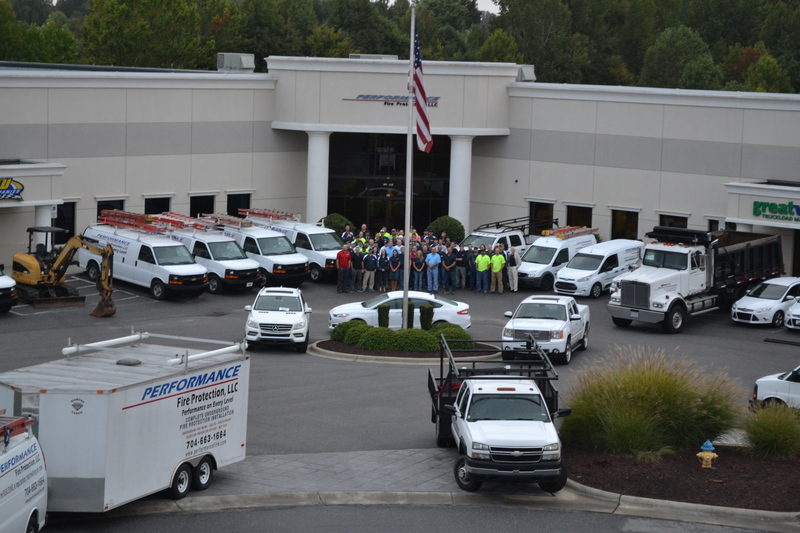 Performance Fire Protection, LLC is located in Mooresville, NC and our customers projects take us throughout the Southeast. Performance Fire is licensed & insured to do work in North Carolina, South Carolina, Virginia, Georgia, Tennessee and Alabama. With fully equipped vans and trucks, our in-house NICET Certified design staff utilizes the latest versions of Auto CAD, Hydra CAD, NavisWorks, and Revit software. We have a 6k s.f. facility with an extensive in-house material inventory, crews with a minimum of twelve years’ experience and 24-hour emergency service with a guaranteed two-hour response. Our employees are fully trained and have extensive experience in all types of fire sprinkler protection, including wet systems, dry systems, double interlock pre-action systems, deluge systems, standpipes, diesel and electric powered fire pumps, hydrants and underground piping. We are proud of, and boast about our staff, because we have assembled a group of top notch craft tradesmen who take pride in what they do every day, on every job. PERFORMANCE FIRE – PERFORMANCE ON EVERY LEVEL!